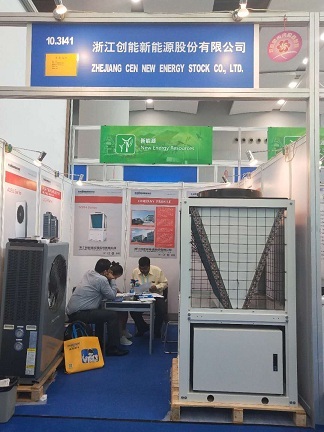 KONNEN MADE A GREAT SUCCESS IN 124TH CANTON FAIR-heat pump water heater,air source heat pump ,china heat pump supplier-Zhejiang CEN New Energy Technology Co., Ltd. The 124th Canton Fair was held from 15th Oct. to 19th Oct.2018 in Guangzhou China. As a leading heat pump manufacturer, KONNEN showed its popular EVI air to water heat pump and commercial V type air to water heat pump water heater. Base on the visitors’ focus, KONNEN emphatically introduced the EVI air to water heat pump. For instance, KONNEN EVI Heat Pump can work efficiently through floor heating, water fan coil or radiator heating/cooling with energy saving up to 30%. 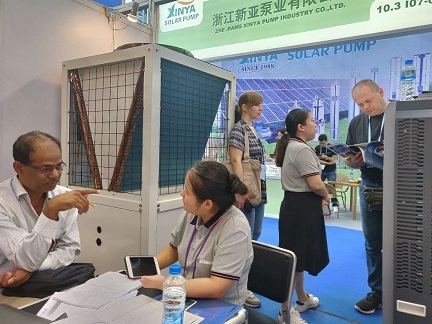 With the use of Copeland EVI soft compressor, the units can work in lowest ambient temperature -25 deg C. On-site the Canton Fair, there are also many customers looking for new energy products. They also interested in our Heat Pump Water Heater. China Import and Export Fair, also known as Canton Fair, is established in 1957. Co-hosted by the Ministry of Commerce of PRC and the People’s Government of Guangdong Province and organized by China Foreign Trade Centre, it is held every spring and autumn in Guangzhou, China. Canton Fair is a comprehensive international trading event with the longest history, the largest scale, the most complete exhibit variety, the largest buyer attendance, the broadest distribution of buyers’ source country and the greatest business turnover in China.